Set of 4 including 2 stainless steel petal cutters and a pair of silicone petal veiners. Includes a step-by-step instruction with color pictures. 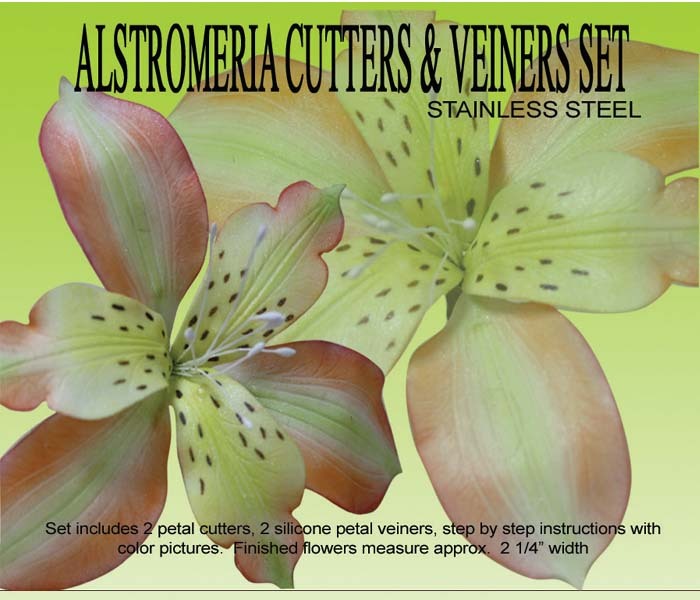 This Alstromeria gumpaste flower cutter set is life-sized. Finished flower measures approx. 2 1/2" W.